The 18th Annual NWABR Student Bio Expo was held on Friday May 18, 2018 at Shoreline Community College. 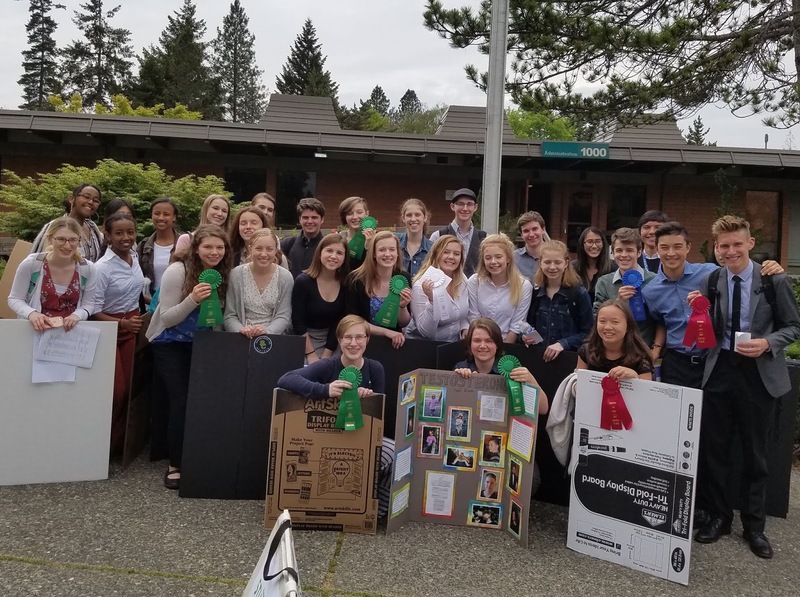 NWABR's Student Bio Expo is a yearlong program that provides a platform for students to learn about and showcase their knowledge of biotechnology, biomedicine and bioethics. There were 324 students participating from 22 Washington State schools with 110 science mentors and 65 Judges. There are 14 Expo Categories: Art, Career Pathways, Creative Writing, Drama/Dance, Indigenous Science, Journalism, Lab Research, Molecular Modeling, Multimedia, Music, SeaVuria, SMART team (3D-printing), Teaching and Website. This approach reflects the Next Generation Science Standards, based in Personalized Student Learning (students choosing a topic of their own choice) and linked to deep science content plus rigorous technical reading and writing. The following students from David Svrcek’s and Jessica Raman’s Honors Biology classes at Shorecrest High School researched a molecular level biotechnological / biomedical subject and represented the information through a creative project. They were judged on their ability to communicate the science concepts through interviews, research papers, and their projects. David Kaiser and Isaac Smith performed in the music category at the event to a standing ovation.